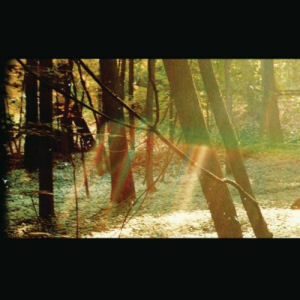 RapReviews.com Feature for November 22, 2011 - Childish Gambino's "Camp"
Actor Donald Glover raps as Childish Gambino, a moniker tellingly spawned through a Wu-Tang name generator. Given his stage name and role on NBC's "Community," it's easy to expect comedic parody rap, and while his concepts and punchlines incorporate a heavy dose of humor, the generalizations end there. Glover's quick wit is more frequently lent to deep confessionals, and the bulk of "Camp" comprises an examination of a conflicted psyche and the circumstances which led to its development. Gambino leaves no stone unturned as he weaves the listener through blow-by-blow accounts of significant childhood events, offers startlingly poignant racial commentary, and delves deep into the core of personal relationships over "Camp"'s thirteen tracks. But them niggas saw through me, are you serious? What is this? When it comes to black kids, one size fits all"
If you had told me the truth, we'd be okay"
Following a procession of contemplative downtempo songs, Childish proves his versatility on "You See Me," a hilarious banger laden with countless one-liner gems ("Forget these white girls, I need some variation / Especially if she's very Asian") culminating in an impressive triple-time third verse. The outro to the album's closer "That Power" features an utterly stunning monologue during which Glover recounts an experience on a school bus home from summer camp. It's a brilliant performance where he puts into words a complex series of emotions and calculations that virtually anyone can relate to. Gambino is extremely capable vocally. His nimble, chattery flow proves versatile between his aggressive, swaggerific raps and the more serious, reflective performances. Like many of his contemporary influences, he also takes his turn at singing on many of the tracks with very mixed results. One would never mistake him for Luther Vandross, and the at-times whiny melodies have the capacity to be irritating and detract from good songs. The production could best be described as melancholy electronica. The minimalistic moody synths draw heavily from Young Money and their ilk, making for an ultimately forgettable batch of music—the notable exceptions being the opener "Outside," which itself is quite reminiscent of "My Beautiful Dark Twisted Fantasy," and "Sunrise," a lively anthem with a show-stopping chorus reminiscent of B.o.B. This is the source of my biggest complaint about "Camp": Glover manages an album that's exceptionally creative lyrically, yet fails to push any boundaries or even imprint itself musically. I have every reason to dislike "Camp." It's wholly derivative, self-pitying emo rap that owes everything in its essence to Drake, Weezy, Cudi, and Kanye. That said, Glover is an incredibly compelling and talented rapper. Childish Gambino may be funny, but he ain't no joke, and "Camp" contains some of the most relatable, stunningly personal accounts I've heard on record. This debut is art at its most poignant, with a man who makes his living in comedy taking a therapeutic turn for the serious—if the listener is to take anything from it, it's not to categorize him. Glover proves a truly diverse talent hearkening back to days when entertainers were competent across the disciplines, and "Camp" impresses as one of 2011's more memorable efforts.